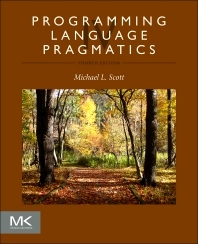 Programming Language Pragmatics, Fourth Edition, is the most comprehensive programming language textbook available today. It is distinguished and acclaimed for its integrated treatment of language design and implementation, with an emphasis on the fundamental tradeoffs that continue to drive software development. The book provides readers with a solid foundation in the syntax, semantics, and pragmatics of the full range of programming languages, from traditional languages like C to the latest in functional, scripting, and object-oriented programming. This fourth edition has been heavily revised throughout, with expanded coverage of type systems and functional programming, a unified treatment of polymorphism, highlights of the newest language standards, and examples featuring the ARM and x86 64-bit architectures. 1.3 Why Study Programming Languages? 14.1 What Is a Scripting Language? Michael L. Scott is a professor and past Chair of the Computer Science Department at the University of Rochester. He is best known for work on synchronization and concurrent data structures: algorithms from his group appear in a wide variety of commercial and open-source systems. A Fellow of the ACM and the IEEE, he shared the 2006 Dijkstra Prize in Distributed Computing. In 2001 he received the University's Robert and Pamela Goergen Award for Distinguished Achievement and Artistry in Undergraduate Teaching.